Samsung’s Galaxy S10 and Note9 are sort of like the Las Vegas of smartphones. Compared to the simple and understated approach of, say, an iPhone or Google Pixel 3, Samsung bombards you with settings to tweak and features to try. Much like a walk down the strip at night, this approach can feel overwhelming. The mandatory inclusion of the Bixby voice assistant is arguably the worst feature of modern Samsung phones. Fortunately, you can remap the button with a third-party app called bxActions. Before you install the app, make sure to launch Bixby once, then go through the standard setup process. Next, launch bxActions, walk through the setup process, then select Bixbi [sic] button to choose an alternative action. You can even use this to launch Google Assistant instead of Bixby. By default, swiping right on your home screen will bring up an information feed from Bixby, including weather, news, sports scores, calendar updates, and more. 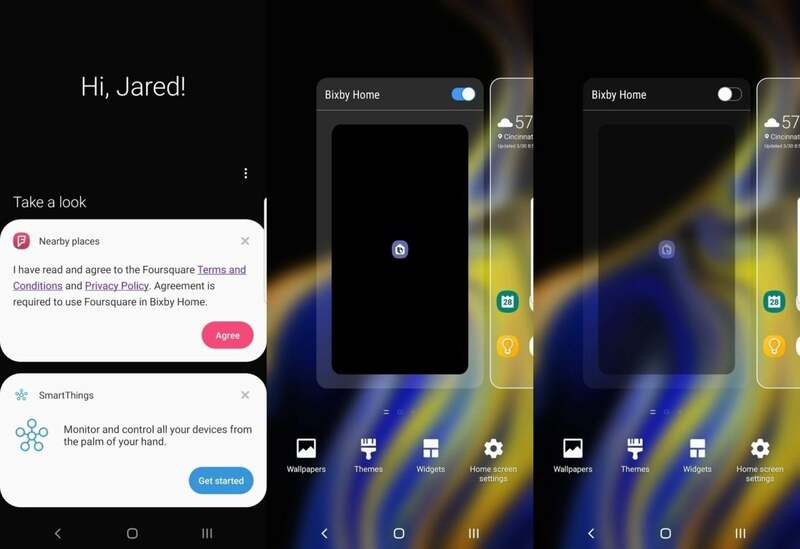 You can disable this by long-pressing anywhere on the home screen, swiping right, and turning off the Bixby Home toggle. 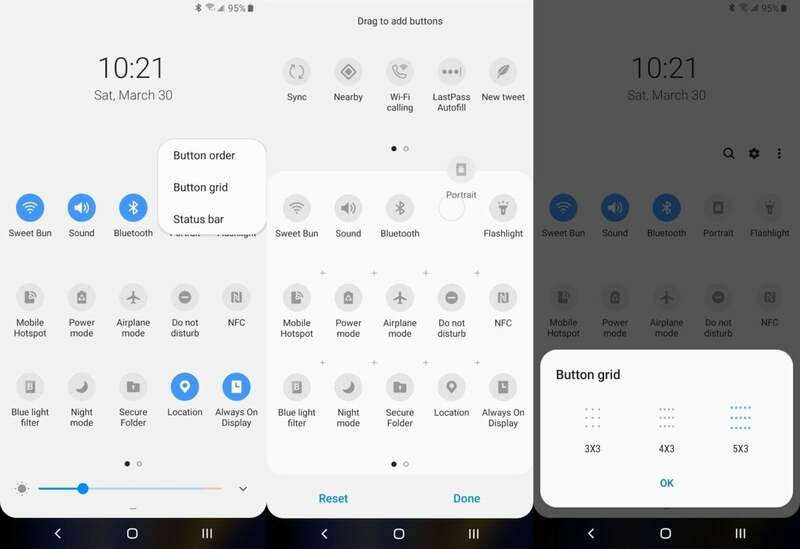 Like other Android phones, Samsung lets you easily toggle common settings such as Wi-Fi and Bluetooth by swiping down from the top of the screen—one swipe for your favorite six toggles, and a second swipe for a longer list of options. To rearrange the order of these settings—or remove them entirely—swipe down a second time, hit the menu button that looks like three dots, then select Button order. Press and hold any icon to reposition it, and don’t forget you can swipe left to see additional icons. 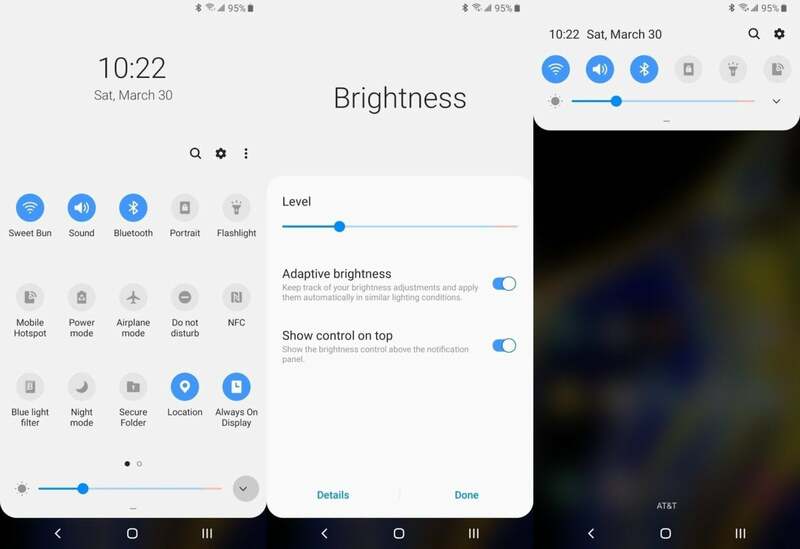 By default, Samsung’s Galaxy Note9 and S10 require two swipes from the top of the screen to access the brightness slider. Make it easier to reach by pressing the down arrow next to the slider, then toggling Show control on top. Now, you only have to swipe down once to see the brightness toggle. 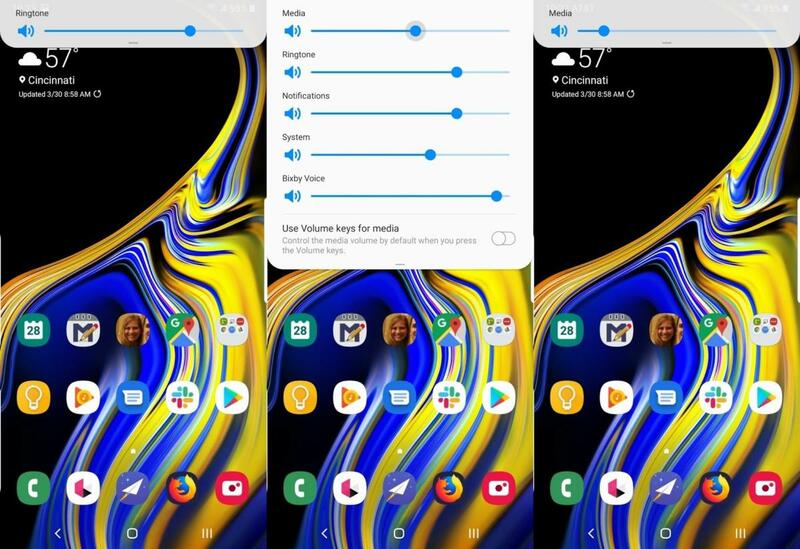 In Android Pie, Google changed the standard behavior of volume keys to control media volume (such as music and videos) instead of the ringer. Samsung phones’ volume keys still control the ringer by default, but you can change this by pressing either volume button, swiping down on the volume control, and toggling Use volume keys for media. 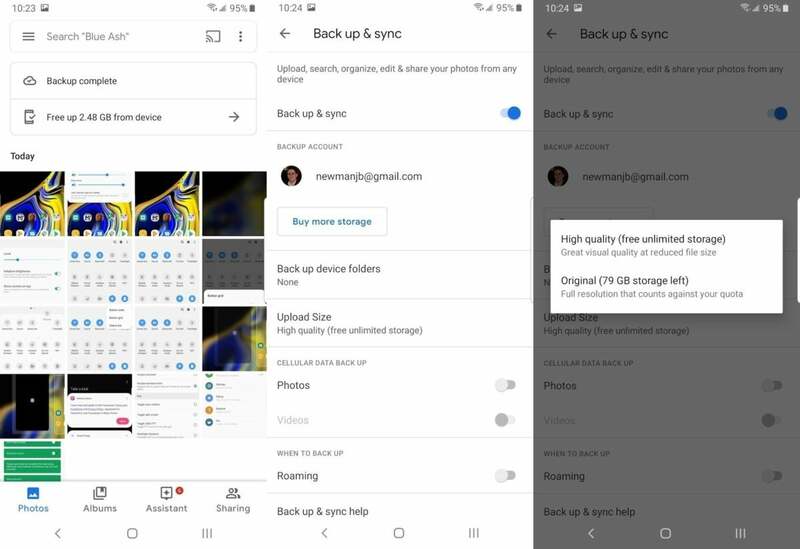 Samsung’s setup process doesn’t include a way to back up your photos, so you’ll have to add a backup system once your phone is up and running. The Google Photos app will automatically back up unlimited photos for free (albeit at reduced resolution unless you use Google Drive storage). You can also use other cloud storage services such as Dropbox and OneDrive. 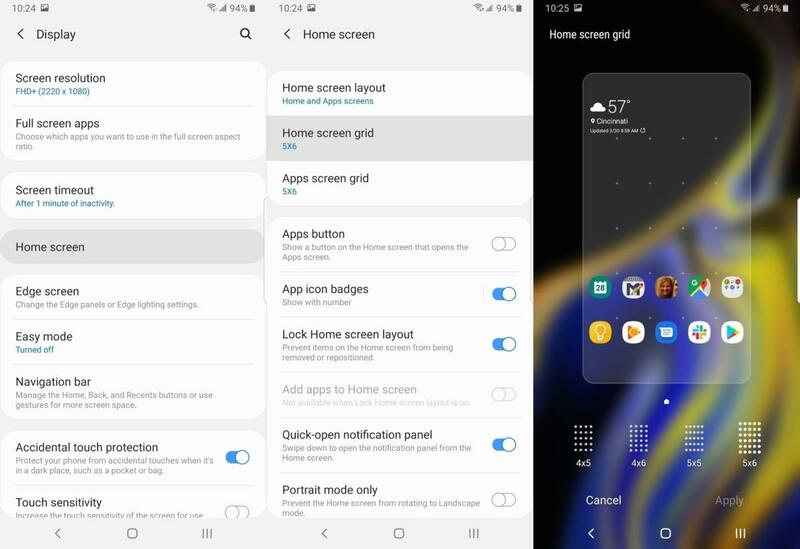 Samsung’s smartphone displays have gotten so large, it’s a shame the home screen’s icons are so spread out. Stack more icons vertically by heading to Settings > Display > Home Screen, then tapping Home screen grid. 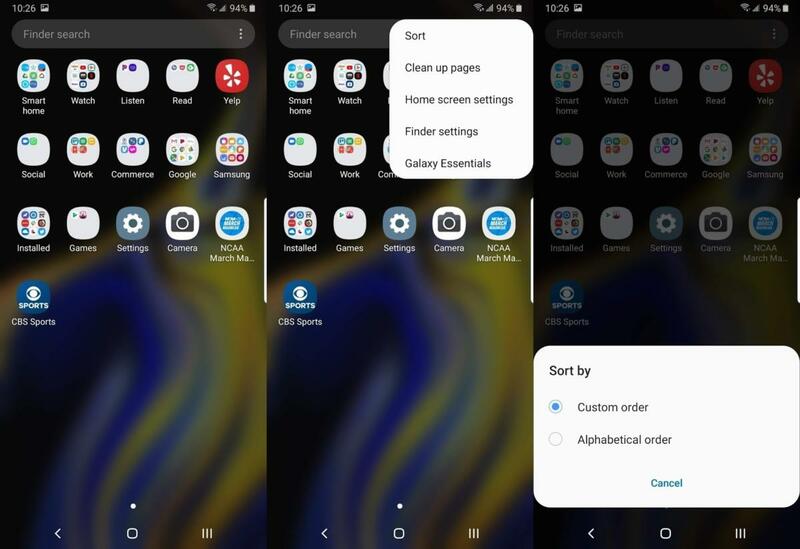 Samsung offers a couple of ways to sort your master apps list, which is accessible by swiping up from the home screen. By default, you can arrange the apps in any order by long-pressing, then dragging them around. (You can even move them into folders, which is great.) If you’d rather sort the apps alphabetically, tap the three dots to the right of the search bar, select Sort, then choose Alphabetical order. Unlike many other Android phones, Samsung's have the back button on the right and the recently-used apps button on the left. Flip these around by heading to Settings > Display > Navigation Bar, then choosing the arrangement you want under Button order. 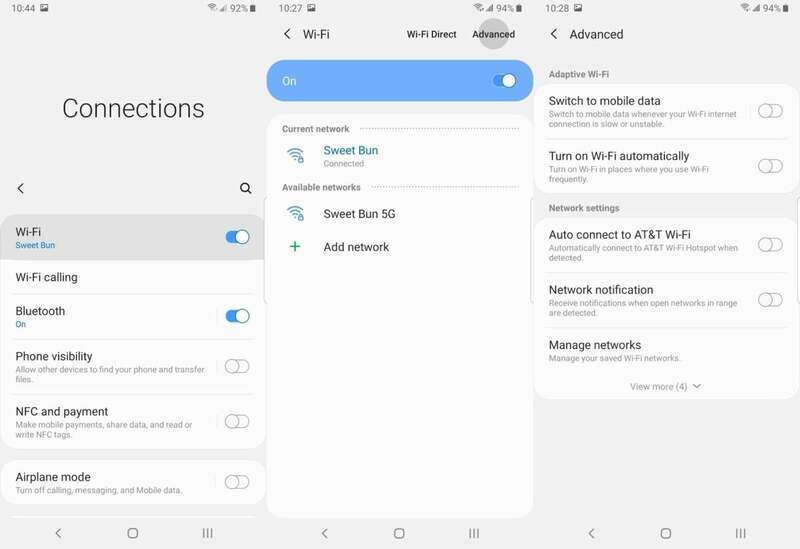 For some reason, Android phones like to notify you constantly when there’s an open Wi-Fi network in range, regardless of the potential security risks and unreliability of connecting to random hotspots. Turn off these nags by heading to Settings > Connections, then selecting Wi-Fi. (Make sure to press the text, not the toggle on the right.) On the next screen, select Advanced, then turn off the toggle for Network notification. If your carrier has a setting for auto-connecting to its own hotspots, I suggest turning that off as well. Arguably the neatest feature on Samsung phones, App Pairs let you quickly launch two apps side by side. It’s great for listening to music while navigating in Google Maps, taking notes while browsing the web, or checking Twitter while watching TV. To set these up, swipe left on the small white strip on the left side of the screen, hit Edit and select Create app pair on the next screen. To put this side panel to even greater use, hit the gear icon in the bottom-left corner of the screen while viewing the panel. From here, you can add shortcuts to your contacts list, reminders, clipboard, and more. 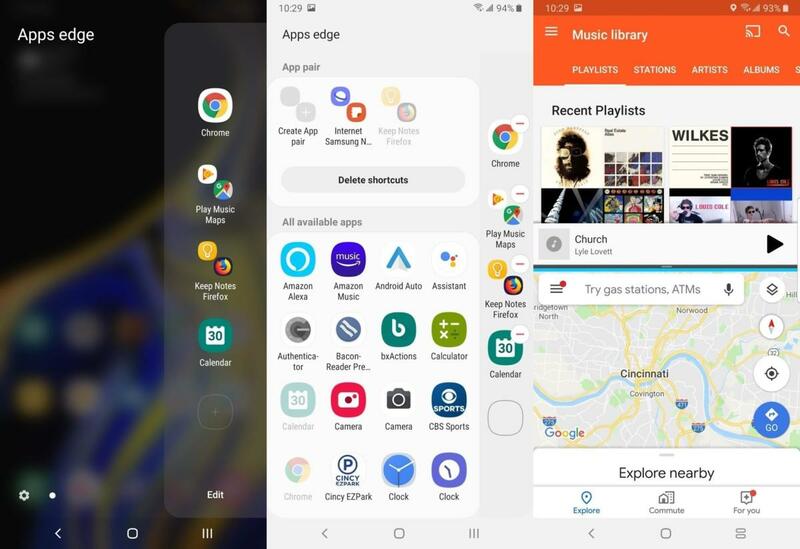 Although Samsung’s “One UI” is supposed to make one-handed operation easier by putting common buttons on the lower portion of the screen, many apps continue to make things hard to reach. 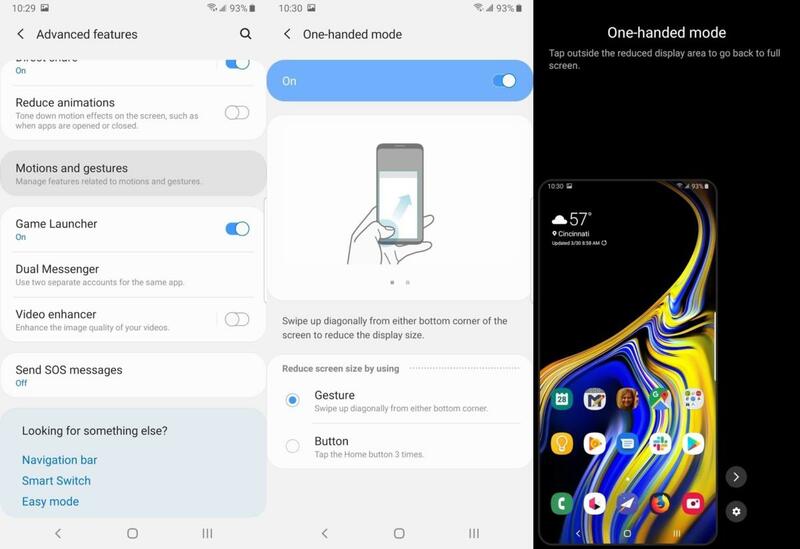 Enabling Samsung’s one-handed mode can help out in a pinch by shrinking the usable area of the screen. Head to Settings > Advanced features > Motions and gestures, then toggle One-handed mode. Turn it on by swiping diagonally out from the bottom corner of the screen, and turn it back off by tapping anywhere outside the one-handed area. 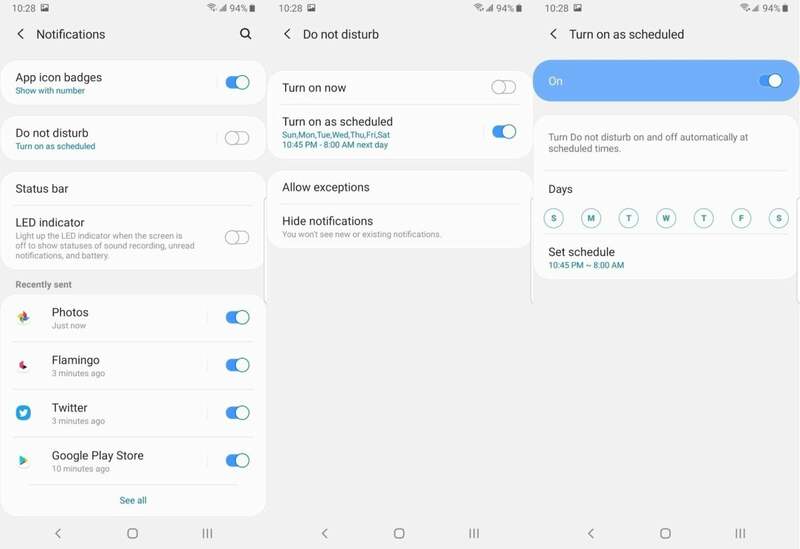 Samsung’s built-in text and clock apps are fine, but Google’s versions offer some extra features that could make them worth using instead. 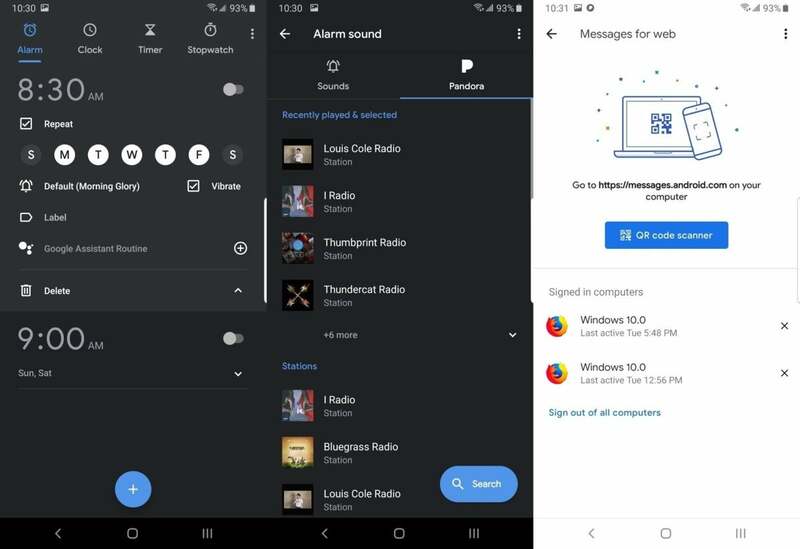 Google Messages, for instance, lets you read and send texts from your computer by visiting messages.android.com, while Google Clock lets you wake up to smart home routines from Google Assistant, or to music from Spotify, Pandora, or YouTube Music. 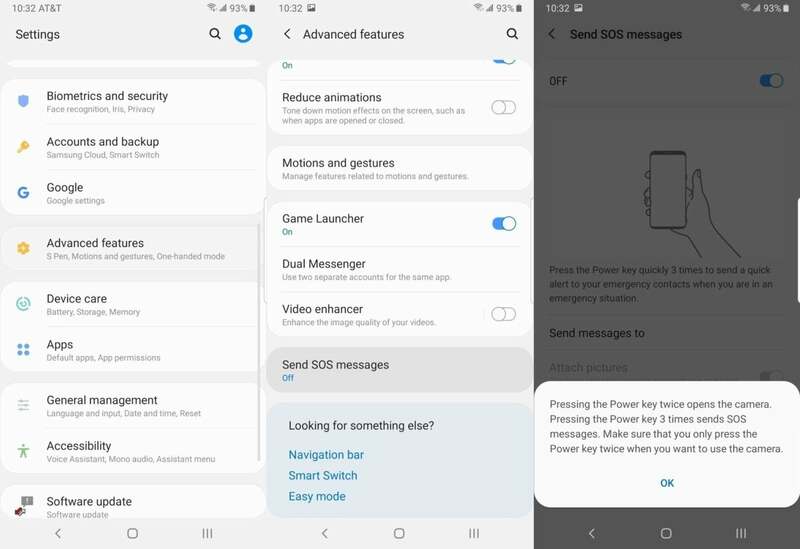 To protect yourself in emergencies, you can set up an SOS feature that sends a message to emergency contacts of your choosing when you quickly press the power button three times. You can also optionally have the phone send an audio recording and photos from the front an rear cameras. Enable this by heading to Settings > Advanced features > Send SOS Messages. You’ll have to add at least one emergency contact to complete the setup.